This digital-to-analog audio converter is designed for home or professional audio switching. He converts coaxial or To s link digital audio signals into analog L / R audio and can be connected to an external device, such as via a standard RCA_type amplifier. You can also 3.5mm headphone jack output, connect high-fidelity headphones. The converter is small and easy to install. 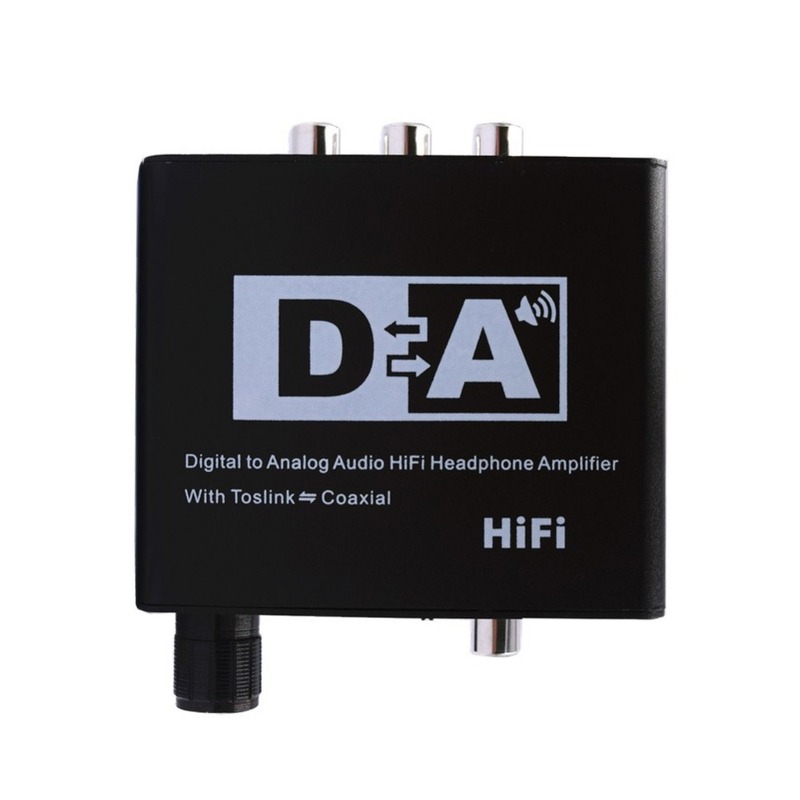 Built-in high fidelity amplifier chip, he a d p – with sharpening and RCA output port can easily put 16-300 ohm high fidelity headphones. Product support shutdown, small size adjustment, easier to adapt to different sources, different environments.